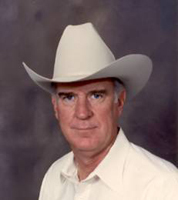 Texas Horsemen's Partnership Director Jerry Windham is among four 2006 inductees into the Texas Horse Racing Hall of Fame. Windham, along with Hilmer and Faye Schmidt and Robert Johnson Sr. will be inducted into the Texas Horse Racing Hall of Fame during a gala at Retama Park on October 14. Former State Senator Ken Armbrister, a longtime supporter of the horse industry, will receive the JoAnn Weber Distinguished Service Award, which was named in honor of the late Hall of Fame executive director. The Texas Horse Racing Hall of Fame has enshrined Texas racing legends each year since 1999. Although Retama Park currently houses the Hall of Fame, each year funds are raised to fulfill the plans of building a museum to commemorate the inductees. This year’s gala begins at 4 p.m. at the Showplace Pavilion on the grounds of Retama. Individual tickets are $125 and tables of eight can be purchased for $1,000, $2,500 and $5,000 to witness the induction of the class of 2006. THP Director Jerry Windham, a past president of both the American Quarter Horse Association (AQHA) and the Texas Quarter Horse Association (TQHA), has bred and raced Quarter Horses for 30 years. In 1983, he campaigned AQHA Champion 2-Year-Old Filly Indigo Illusion and since then, runners from his stable have amassed more than $8.5 million in earnings. Throughout his career, he has received numerous accolades including the MBNA America Racing Challenge Champion Breeder award five times, the AQHA Champion Breeder award and the Accredited Texas-bred Champion Breeder and Accredited Texas-bred Champion Stallion Owner from TQHA. He was inducted into the AQHA Hall of Fame in 2005. Hilmer and Faye Schmidt recently received the 2005 T.I. “Pops” Harkins Award for lifetime achievement from the Texas Thoroughbred Association. The native Texans campaigned their first stakes winner in 1979, and their operation grew swiftly from there. In 1995, the Schmidts raced Golden Bri, who upset Serena’s Song, one of the best fillies of the decade, in the Coaching Club American Oaks (Gr. I). At his Indian Hill Farm in Florida, Hilmer planned the mating of Skip Away, who ultimately won four Eclipse Awards and retired as the second highest money earner of all-time. Faye also stays active in the Thoroughbred industry as president of the Texas Racing Fillies charitable organization. The late Robert Johnson Sr. played an important part in the push to legalize pari-mutuel wagering at Texas racetracks in the 1980s. Johnson wrote the original legislation and worked with legislative leaders in both the Texas House of Representatives and the Senate to bring about the successful passage of the bill in 1987. Beginning in 1991, Johnson served as Senate parliamentarian and aide to Lieutenant Governor Bob Bullock. He had previously worked as a parliamentarian in the House for 15 years. Johnson passed away in 1995, and Lone Star Park runs the Bob Johnson Memorial Stakes in his memory each summer. Past State Senator Ken Armbrister has been named the second recipient of the JoAnn Weber Distinguished Service Award. A former police captain who attended Sam Houston State University and the FBI National Academy, Armbrister was first elected to the Texas House of Representatives in 1983. After two terms, he joined the State Senate, and during his 14-year tenure as a state senator, he served on committees on natural resources, water policy, business and commerce, state affairs and health and human service. Armbrister also frequently sponsored and supported legislation affecting the horse industry. For more information, contact Sharolyn Grammer at Retama Park at retama@flash.net or (210) 651-7000.